← Yabba Dabba Don’t! Why Flintstones vitamins are toxic! Some broccoli a day, keeps the cancer away! Attention chemo and radiation believers! Would you believe me if I said there was another miracle “drug” out there, one that could prevent the cancer before we even got it? Sounds amazing right? Well guess what, there is! It is called broccoli. Most people think broccoli is gross, disgusting, tasteless, and has no value besides being green and taking over a prime spot on our dinner plate, that could be better filled with something delicious. Well I have great news! After reading this post you will have a new understanding of broccoli, one that makes it a worthy component of your dinner! According to an article on Greenmed, “Research has shown repeatedly that cruciferous vegetables fight cancer. Vegetablessuch as broccoli, kale, cabbage and cauliflower contain a cancer-protective compound called sulforaphane.” In fact, it has been shown that broccoli can KILL the very stem cells that make cancers the immortal demons that they are. What kind of broccoli is most effective? The answer is broccoli sprouts! Studies show that mixing broccoli with broccoli sprouts make its anti-cancer effect over 2 times more effective! For those of you that don’t know the difference between the two, broccoli sprouts are 3-4 day old broccoli, looking like little sprouts seen below. Another important thing to note is that most people OVERCOOK broccoli, allowing it to lose the nutritious and anti-cancer impact it has. Articles have shown that 2 minutes in a microwave or 7 minutes of steaming broccoli can destroy important nutrients. Nutritionists recommend steaming broccoli for only two to four minutes to protect both the enzyme and the vegetable’s other nutrients. So there you have it! 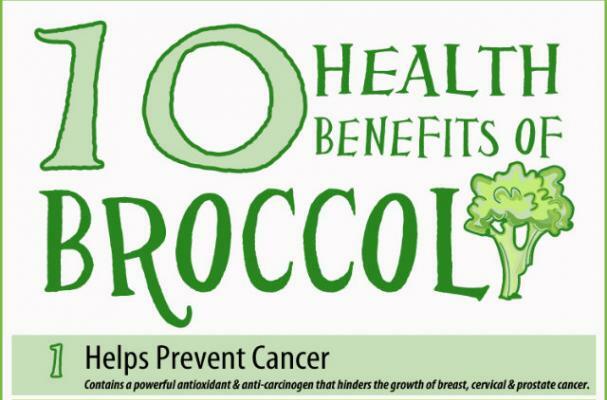 A reason to welcome some broccoli on to your dinner plate with open arms! Too lazy to adjust to these greens? Don’t want to bother with seeking out some additional sprouts in the supermarket? These little changes have the ability to prevent you from spending months of your future sitting in a chemo chair with an IV in your arm. Why take the time once its too late, but not take the time now? 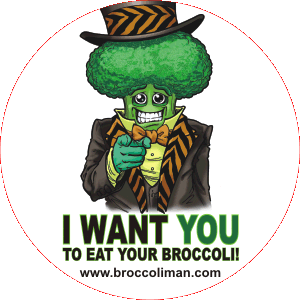 Let’s take action and start eating more broccoli!